After a painfully slow two years we finally got a new episode of Game of Thrones and we couldn’t be happier. An hour of reuniting characters, scenes dripping in tension and pure action later and we’re ready for some more. With episode 1 out of the way and the second episode airing this weekend, this is the place to be for all of your know-how on how to watch Game of Thrones online. Game of Thrones season 8: when and where to watch? Episodes of Game of Thrones air every Sunday at 9pm ET, 6pm PT on HBO. Depending on where you live that will mean a different time and streaming service to tune in to. For example, while the US and Canadian fans get comfortable evening viewing slots, fans in the UK will have to tune in at 2am to watch Game of Thrones as it goes out (damn you time zones!). You can see a thorough list of viewing options for English speaking countries and see how to catch up on the first episode (and previous seasons) below. For those who still haven’t watched the first episode, we commend you on your impressive week-long spoiler dodging escapades. The good news is that watching it on catch up is easy, you can find a full list of where to watch the first part of the new season down below. But for those Game of Thrones aficionados out there watching live each week, we’re here to tell you where to go to watch episode two online. Episodes air every Sunday which means tuning in on Sunday, April 21. The trouble is that thanks to live streamed episodes and time zones your viewing time can be anytime day or night depending on where you live - you can see a full list of viewing times and where to watch down below. So if you’ve got everything ready for the new episode this weekend (popcorn and all) and just lack the streaming service and time, you can find everything you need to know about how to watch Game of Thrones online on this page. But, if you find yourself in the unfortunate circumstances where you've booked a holiday over the duration of Game of Thrones season 8, then things get a bit more difficult. For those unlucky fans, all hope isn't lost yet. You will find that watching Game of Thrones won't be an option thanks to geo-blocking. This means that broadcasters do tend to try and stop you from watching in other countries, putting up some virtual roadblocks. Don't fret, you'll still be able to watch the show, it just gets a little bit harder. By using a VPN, you will still be able to catch the show by changing your IP address to a location back where you live, allowing you to watch it all (assuming that doesn't breach any TS&Cs, of course). Well there really is no surprise here, if you're in the US then HBO will be the go-to place for everything Game of Thrones. Unfortunately, it is also no surprise that this means you will have to sign up to a HBO subscription to watch the show. HBO offers a few packages, all of which are pretty flexible. That means you can sign up for one month, finish the show and then cancel if needs be. Not to mention, HBO offers free trials on all of its packages, which helps soften the blow. Prices start at $14.99 a month with HBO and go up depending on which package you choose. The first episode is now available for catch up in the US. The rest of the episodes will be airing each Sunday at 9pm ET, 6pm PT, giving US fans one of the better streaming times out there. If you're in the UK you get two different options when it comes to watching the show: either through Sky Atlantic or via a Now TV Entertainment Pass. If you're set on watching live you'll have to stick with Sky Atlantic as it has the live rights to season 8. But be warned, the UK doesn't exactly have the easiest live streaming slot (2am is just a little bit too early) so we completely understand if you're not fully up to watching episodes live. The good news is that the first episode is now available for catch-up on both NowTV and Sky Go and each episode will be available on catch up from 4am onwards every Monday. We all know that Sky can be expensive, so be sure to check out our dedicated Sky TV deals and packages guide to make sure you're getting today's best prices and offers. And if you're out of the UK and still want to watch shows from your Sky or Now subscriptions, then you'll need to download and install a VPN as described above. If you're in Canada trying to watch Game of Thrones online then you're in luck as Crave will be showing the entirety of the new season on its release. That means the same air time as the US, each week on Sunday at 9pm ET, 6pm PT. And if you haven't yet been able to watch the first episode, it is now available to watch on catch-up with Crave. You can pay for Crave on a monthly basis or get an annual subscription. Unlike HBO, Crave doesn't seem to do trials but if you do pay for a subscription, they will throw in one free month. If you're trying to catch the first episode now its aired (or even the whole show) in Australia, there are only two options for you, and that's either signing up to Foxtel's cable service or the company's streaming service, Foxtel Now. Episode 2 will be airing at 11am on Monday April 22, a slightly more reasonable time compared to the UK's 2am! Like all of the streaming services above, you will have to pay to get a subscription and there are a host of different packages available, but Foxtel Now offers a free 10-day trial if you haven't already signed up. For those in New Zealand there really only is one option for season 8 and that's SoHo. The Sky premium entertainment channel will be the place to find season 8, airing at 1pm and then repeating at 8.30pm each Monday. The first episode is now available for catch up on the site. Unfortunately, SoHo doesn't do trial subscriptions. So if you don't already have it you'll have to dive on in on a TV package or upgrade your current one to a plan with SoHo. 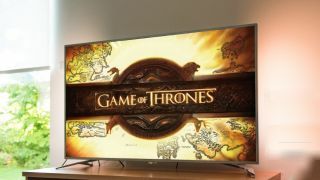 For fans in India you're in luck, when it comes to watching Game of Thrones online, India has the cheapest option. Simply log onto Hotstar and sign up for a premium account. This will cost you either ₹299 ($3) for a month or ₹999 ($14) for an entire year. The first episode is now available to watch and Hotstar will be showing every other episode as it airs. The time to tune in is every Monday at 6.30am. yes that does mean an early morning for Indian fans but we feel like its a small price to pay to catch this much-anticipated show's first episode. Episode 1 got you craving some more action? Watch the trailer above to see what to expect this week. With all of the Starks, dragons and White Walkers, we feel like season 8 is going to be more than worth the wait. Scroll up to see where to watch the first episode where you live.